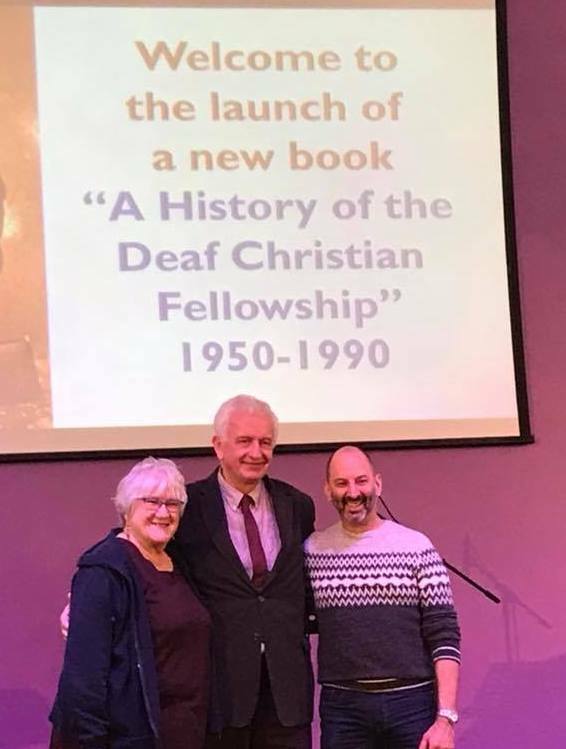 We are pleased to celebrate the launch of the John Delve's book telling the history of the Deaf Christian Fellowship, through words, photographs and maps at the Gateway Centre, York on 20th January 2018. The book runs to 312 pages in A4 size with over 500 photographs. John is pictured above with his publishing team Janice Silo and Chrissan Moldrich. Go! Sign Conference Day on Saturday 14th October 2017 at Enfield Baptist Church, London.